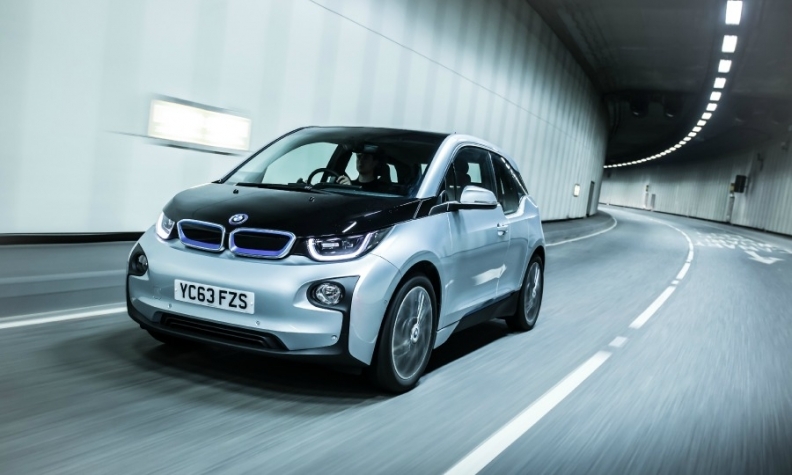 BMW uses carbon fiber in the i3. FRANKFURT -- SGL Group said it would gradually buy BMW's stake in their joint venture that produces carbon fiber. BMW said last year it was limiting its use of carbon fiber and turning to cheaper lightweight materials such as aluminum and steel for its biggest selling cars to keep profit margins high. The carmaker said in a statement on Friday that carbon fiber would still remain a significant part of its material mix and that it would continue to cooperate with SGL on future projects even after selling its 49 percent stake in joint venture SGL Automotive Carbon Fibers (ACF). The deal has no impact on existing supply agreements for the material's use in the BMW i3, the BMW i8, and the BMW 7 series, the two companies said. BMW will also hold onto its roughly 18 percent stake in SGL Group. The material was once heralded as the future of lightweight, fuel-efficient cars, but has proved expensive. Several carmakers teamed up with specialist companies to push advances in carbon fiber manufacturing in recent years, in a drive for lighter cars that consume less fuel or, if they are battery-powered, can drive for longer on a full charge. But a problem they have faced is that while carbon fiber is stiffer and lighter than aluminum, it is more expensive. SGL meanwhile said buying BMW's stake in ACF was in line with its strategy of covering every step of the carbon fiber value chain, which also prompted it to buy half of joint venture Benteler Carbon Composites in a deal announced earlier this month. Consolidation of ACF will increase SGL's 2018 sales by a medium double-digit million euros amount and its earnings before interest, tax, depreciation and amortization by a low double-digit million euros amount.